At this point in the Marvel Cinematic Universe, several of the actors that have taken on major roles have become nearly inseparable from their characters. It’s nearly impossible to think of Tony Stark without thinking about Robert Downey Jr. The same is true of the lead character in Captain America: Civil War. 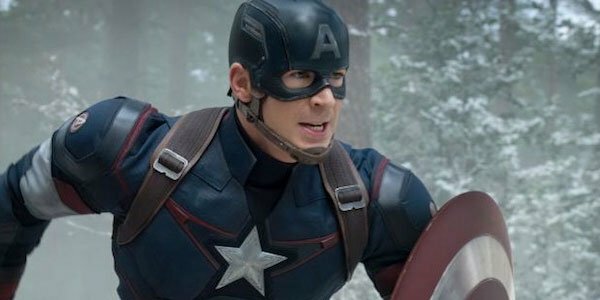 We can’t think of anybody else besides Chris Evans playing Captain America. We very nearly did, however, as the actor was reluctant to play the part when it was first offered to him. It was simply too much of a commitment. Chris Evans was a guest on Jimmy Kimmel Live last night when the host asked him about his reticence to take on the part of Captain America. Evans admitted to having some degree of social anxiety when it comes to working in Hollywood. For him, the process of making one movie at a time worked well. If it all ever got to be too much, he could take a step back and take a break. The deal with Marvel Studios would have put him in an entirely different situation however, as he’d be required to make several movies, whether he wanted to or not. At first, it was some nine-picture contract. … Doing movies one at a time, if all of a sudden you decide you don’t want to do them anymore, you’re afforded the opportunity to take a step back and recalibrate. When you have a giant contract, all of a sudden, you’re not responding well? Too bad. You gotta suit up again. That was scary. According to Chris Evans, he actually turned the role down several times, but apparently Marvel really wanted him as they kept coming back and asking him again. Eventually, Evans realized that he was only turning the part down out of fear, and once he overcame that, he accepted the part. At the same time, one can completely understand his perspective on the situation. Chris Evans is about to portray Steve Rogers for the fifth time and he has, we believe, at least two more movies left to do. One can only imagine what he’d be going through if he didn’t like playing the part. After making the first couple movies and deciding you didn’t like doing it, staring down the barrel of several more would just be awful, especially for somebody who has to deal with anxiety over that sort of thing. Check out the clip below. In the end, as fans we’re certainly glad that Chris Evans accepted the part of Captain America. He’s been able to take a character who could have become a caricature and made him relatable and real. Is there anybody else who could have taken on the part? Let us know what you think in the comments.